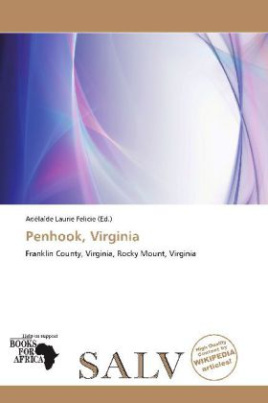 Penhook is a census-designated place (CDP) in Franklin County, Virginia, United States. The population was 726 at the 2000 census. It is part of the Roanoke Metropolitan Statistical Area.There were 308 households out of which 21.1% had children under the age of 18 living with them, 68.5% were married couples living together, 7.1% had a female householder with no husband present, and 20.8% were non-families. 18.8% of all households were made up of individuals and 6.8% had someone living alone who was 65 years of age or older. The average household size was 2.36 and the average family size was 2.65.